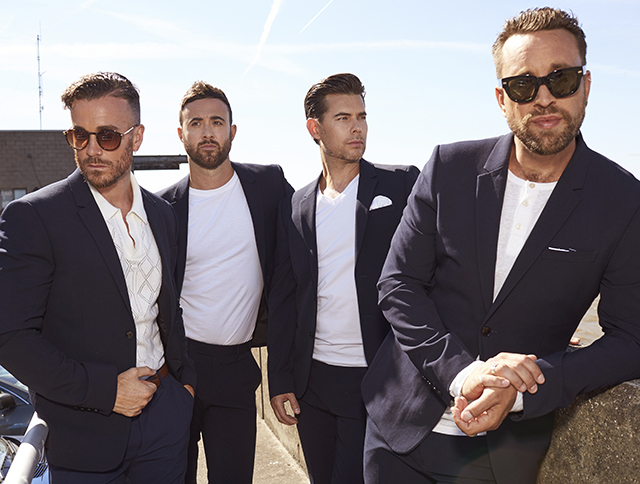 The Overtones are a firm favourite on the UK live circuit after building a passionate fanbase since the release of their debut album Good Ol’ Fashioned Love in 2010. The group has gone on to release another four studio albums, their last being 2015’s Sweet Soul Music. Earlier this year tragedy struck with the death of band member Timmy Matley and after taking a little time out, The Overtones decided to stay together and continue as a group. 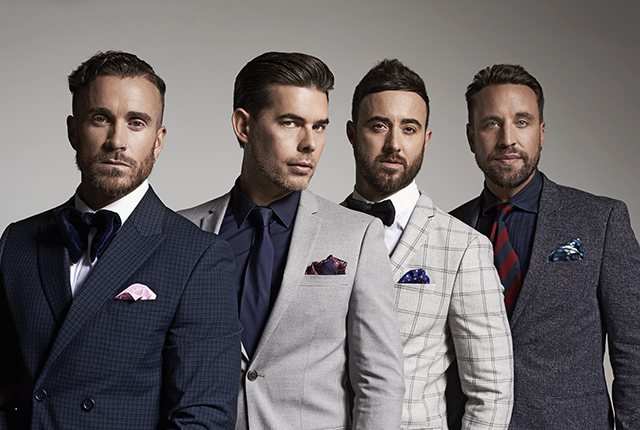 Today their first album as a four-piece, The Overtones, is released and I caught up with the group recently to discuss losing Timmy, working out a new band dynamic and find out all about their upcoming tour. It’s been three years since we last spoke and so much has happened in that time. Earlier this year you tragically lost Timmy. Was there a moment when you considered not continuing as a band? Darren: When we found out about the tragic news of our brother Timmy, obviously we were all in a state of shock as you can imagine and as I’m sure you were and all the fans. We spoke to each other on the phone and as soon as we could meet up, because some of the boys were in different countries, we met up at a pub near Mark’s and had a cider for Timmy. It was nice to be together. No one really knows what you’re going through apart from us. I know that sounds a bit cliche but it’s really true. We didn’t really know how the conversation was going to go because we hadn’t really spoke about it in depth. We all had our thoughts and our feelings but after being together it was pretty clear that we couldn’t end that way and we didn’t want to end that way… for a number of reasons. We felt like we owed it to ourselves to Timmy, to Timmy’s family and obviously to our fans, to carry on with this album that was already in motion. We’d started speaking about and we were in the studio with Timmy running through some songs. There’s also a lot of love out there for us you know, we’re really lucky boys, and we knew that anyway, but when something as tragic as this happens you can just feel it pouring from all directions and all over social media, texts and emails. The love was amazing and it does make you think we’re lucky boys to have that love. It’s a real comfort. Recording the album, we found it very therapeutic. It was a way of grieving for us I think. As artists you get to be creative and you get to portray what you’re going through so with this album we really got to let out a lot of emotion and feelings. In a lot of the songs you’ll hear that we’re saying a lot about how we’re feeling. You did some shows without Timmy while he was battling skin cancer so prior to the album you’d had some experience of working together as a four. Timmy’s voice was so integral to The Overtones sound so was it a challenge to rearrange the harmonies and try to fill the gap that he left? Mike: That’s an interesting question because it was a very conscious thing. What we didn’t want to do as four guys is try and replace Timmy with our vocals. When you listen to this album, you’re going to know that it’s The Overtones that you’re listening to but at the same time we’ve adapted the sound slightly so it works and it’s tailored to our individual vocals as opposed to going, ‘we’re missing that high, the one down from Darren harmony because that’s where Timmy used to sit’. We’ve adapted those harmonies so that now isn’t an issue because it’s tailored to our voices. It was certainly a very conscious thing but one that in a way kind of happened really naturally. We sat in the studio, we discussed the songs that we were doing and we blocked some of the songs through. Some songs worked, some songs didn’t but I think generally what we’ve managed to achieve with the album is one that is for The Overtones as a four as opposed to The Overtones as a five. Darren: I think it was important for us to stand alone as a four piece and sound great. We never would say that we sound better than we ever have because of course we’re stronger with Timmy in the group, that goes without saying, but I think we would have only carried on and recorded this album and completed it if we knew that it would be a great album and it would sound great. We just worked really hard to make it sound as beautiful as we could. We’re all really, really happy with this album. Mike: I think there’s a confidence as well, as you say we did do the tour a few years ago while Timmy was undergoing treatment. We knew that as a four there was going to be a strength that would be able to stand up to The Overtones name and the reputation we’ve built up over the years. It was a goal that we had and one that we’re really pleased to say that we feel that we’ve achieved. The track listing on the album feels very poignant in light of what’s happened this year. You mentioned that the album was in progress when Timmy was with us so are the song choices intentional or is it a coincidence? Mark: We were heavily influenced by our circumstances and the fact that we’d lost our friend, our band mate, our brother… like the boys said the album was in motion. We’d already selected a few songs and actually one of those songs was Save the Last Dance. It was the last song that we arranged together as a five when we had our initial album meetings with the producer at the time. It was the last time we were all together as a five. When we first discussed recording it, it was going to be quite true to the original… a midtempo, quite perky song but given what happened it’s now turned into this quite sentimental ballad. I think for me it’s probably one of the highlights on the album because it’s such a fitting tribute to Timmy. Lyrically and in terms of the arrangement is it’s so sentimental. Mark: It was Lockie that suggested that maybe we tackle Goodbye by the Spice Girls and our initial response was that we weren’t sure we’d get away with that. Like with every song on the album we get around the piano and we sing it with our producer Julian, just with the keys to see how it sounds. Straight away, just lyrically, it say everything we want to say and we’re not shying away from the fact that we’ve lost someone so precious to us and that’s what that song is about. Mark: It’s funny. I counted our originals the other day and we’ve done 24 originals so maybe we could put them all together on an album (laughs). Darren: It’s important for us to have originals on the album. We’ve got a fan base that love the covers and love the old school songs and the songs that they know and can sing and dance to, but it’s important for us as artists to have creativity, have writing sessions and have input with original songs. It’s something we’ve always done and always been keen to do. We’ve got two songs on there and I’m really proud of them both because they’re complete opposite ends of the spectrum. One’s a real positive anthem, Stand Up, telling you that you can achieve your dreams. Don’t worry about what anyone thinks of you. Be you. Be proud. That was a fun song to write. The three of us actually started writing that in Mark’s Garden in our shorts. It was a hot day… we were enjoying Mark’s garden furniture. That came together really quick. Our producer Jules sent us a backing track that he’d made and we literally wrote that to it. It’s probably one of the easiest songs to write that we’ve ever done. It came together really well. and I can’t wait to perform that on tour. I think it’s a really nice moment. Mark: When we got together in the studio to write the second original, like Darren said, we had quite an anthemic feel-good original which was quite in keeping with the originals that we did on Sweet Soul Music. It fits in really well and has kind of a Motown feel. We started writing a second original, again inspired by the journey that we’re going through at the moment. We just our thoughts and feelings down on paper initially and this beautiful chorus melody came out. We worked with a producer called Ramzi, who is an absolute genius on the keyboard. He came up with some beautiful chords and before we knew it we had this universal song, that obviously has a meaning for us, but I feel that as a song it’s an original that people can listen to and take what they want from it. Hopefully it will be an inspiring song for our fans and for everyone else that buys the album. You’ve got a new headline tour coming up in support of the album. What can people expect this time around? Lockie: This is going to be a tour like we’ve never done before. I think that The Overtones are known and loved for mixing outright joy and sentiment. This album and this tour have so much of each. With the album you may want to grab your dancing shoes but you may want to grab a Kleenex as well. We’re going to be making a really beautiful night for everyone who has followed us for so long because there’s a lot of people who I think would like to have a little tear that night because this band has meant so much to so many people for a long time now. If people were walking past the theatre and saw we were on after seeing us on the telly, they’d have a brilliant night as well. We’re here in the studio and we’re working our butts off, as we have with the album and will do for the tour. We just want to get it right. As a band you tour a lot and you always manage to pull in huge crowds. Does it surprise you after all these years? Lockie: In some ways yes and in some ways no. It honours me actually. I feel very honoured that we can just go on tour, put on a twenty six date tour and it sells out, sometimes when we haven’t even got an album out. There’s something in the water of The Overtones that’s just a great night out. Part of me chuckles at that… that we can do that because we’re just mates having a good time and singing music that makes people happy. But then on the flip side of that coin we’ve worked our butts off for this for nine years so that’s a yes and no. It’s just a delight. Lockie: It’s not even a given that if you get given a record deal you’ll get an album made or released. We seem to have jumped so many hurdles. Mike: I think that’s part of the thing with us, is our gratitude and I think that comes across in the way we record albums and the way we go on tour and perform. We say it all the time we feel like lucky boys. We feel very lucky and privileged to be in the position that we’re in, to be able to stand on a stage in front of thousands of people because those thousands of people are still interested to come and see us. I think that gratitude comes across in our performance and we feel very lucky but as Lockie said we’ve put ourselves in the way of that luck for all the hard work over the years. Mark: I suppose the fact that we sing all these classic songs as well, we’re lucky that we’re able to put our own Overtones spin on these huge songs everybody loves knows and loves. In that sense if you come to an Overtones gig, you’re guaranteed to know 95 percent of the tracks already so you’re already onto a winner. With the new album release and the tour, have you started thinking what’s next for The Overtones? Mark: I think we’ve always been reactive. We’ve got a great passion for what we do. I think because it’s uncharted territory now, I think we’re just so proud of this album we’re putting out. Of course we’d love to tour next year and we’d love to record another album. We’ve put so much heart and soul into this project, I guess it’s hard to look beyond Christmas at the moment. Mike: I think the thing is we’ll always look to the future. Obviously normally there’s a plan of what’s going to happen the following year but as Mark said we’re in a bit of uncharted territory here and we’re adapting and evolving with our new reality. We’ve come up with an album that we feel very proud of. The tour is going to be a wonderful tour and it’s well on the way to selling out. Next year there’s no reason why we can’t continue to keep doing the same and evolve this time as a four. 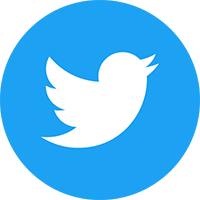 It’s all new and we’re going to watch this space, see how we get on and be grateful for the journey that we’re going to be going on next.